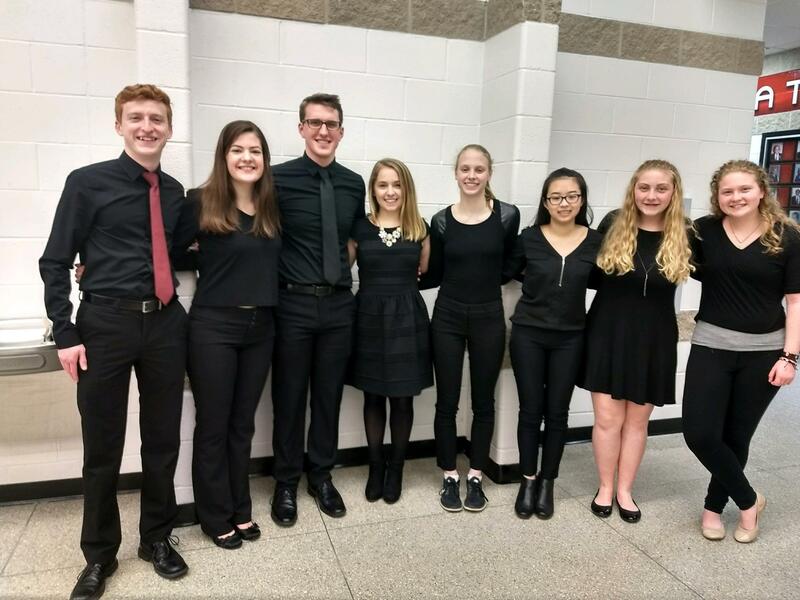 Cuyahoga Heights participates in CVC Honor's Band Festival 2018! The CVC Honors Band Festival was held on Wednesday, April 4th at Painesville Harvey High Schoool. Nine CVC schools were represented, making up a band of 88 players. Students were conducted by guest conductor Dr. Birch Browning from Cleveland State University. Members from Cuyahoga Heights include Eric Holler, Natalie Sisler, Lauren Adamo, Mara Voytek, Ada Gee, Monica Menkhaus, and Bebe Menkhaus. Cuyahoga Heights is very proud to have such dedicated and involved students!